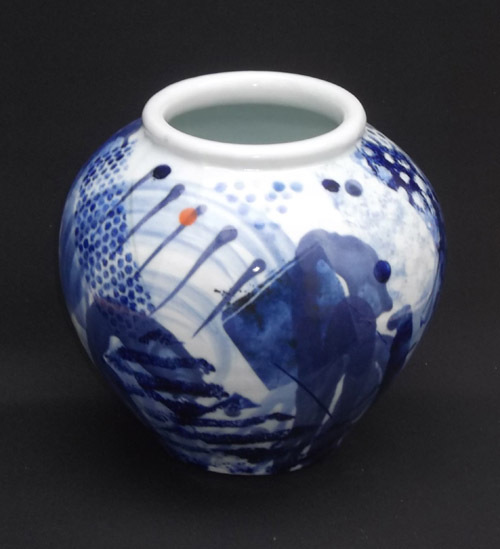 Potter Andrew Matheson from Sutton Coldfield has long had the desire to make large vases. and after a great many years he has embarked on his greatest challenge yet. “I’ve only managed to make six successful ones,” reveals Andrew, an elected member of the Royal Birmingham Society of Artists. It’s the most difficult piece I do and I’m still developing the technique. I find that throwing the shape over two days has more success than trying to do it in one go. The first two will be exhibited for £160 each at the RBSA Members and Associates exhibition from November 23 to December 23.